Jo-Ann Forster Team Closes Over $9 Million In Sales In Just 14 Days! Posted by Jo-Ann Forster Group on Friday, July 12th, 2013 at 7:33pm. No matter what part of the market you look at, homes are selling. Over the past two weeks the Jo-Ann Forster Team has closed over $9 million dollars in sales. That’s huge! So what do the following three properties have in common? They were all previously listed and sold by the Jo-Ann Forster Team and the current owners chose us again to be their realtor! 9550 SW 67 Avenue in Pinecrest closed on July 1 for a price of $3,050,000. That’s $385.00 per square foot, and the second highest price per square foot and sale price in Pinecrest so far in 2013. As of last month, sales in Pinecrest rose by 20% over the same time last year, according to TrendGraphix. With a huge amount of motivated buyers and prices steadily rising, it’s no wonder why the Pinecrest real estate market is doing so well. If you’re thinking of selling your home in Pinecrest, now is the perfect time! 3425 N. Moorings Way closed on July 2. The sale price was $2,017,500 ($409 per square foot). This residence consisted of 4 bedrooms, 4.5 bathrooms and 4,952 square feet. Coconut Grove real estate is in major demand! The Moorings is a 24 hour guard gated community that is loved for its prime and secure location within Coconut Grove, as well as for having a great neighborhood atmosphere. It's one of the most coveted neighborhoods in all of Coconut Grove, and opportunities to purchase in this community are hard to come by. 3750 Frantz Road in South Coconut Grove is a great family home and features 4 bedrooms, 4.5 bathrooms, two family rooms and a wonderful layout that’s perfect for having guests or extended family. What really captures you about this property is its large, walled corner lot that offers ample privacy, and the walkability of the neighborhood. With all these wonderful attributes, it came as no surprise that it closed on June 25 for full asking price at $1,295,000! When these sellers made the decision to sell, they chose The Jo-Ann Forster Team, again! We’re glad that our level of service and expertise keep our customers coming back to us. 1660 S. Bayshore Court #202 in Coconut Grove, which was offered at $1,940,000 and will be closing in mid July. 6436 S. Mitchell Manor Circle in Pinecrest, which sold in one day and closed for $1,930,000 on June 27. 6400 SW 114 Street in Pinecrest has a pending contract and was offered at $1,795,000. 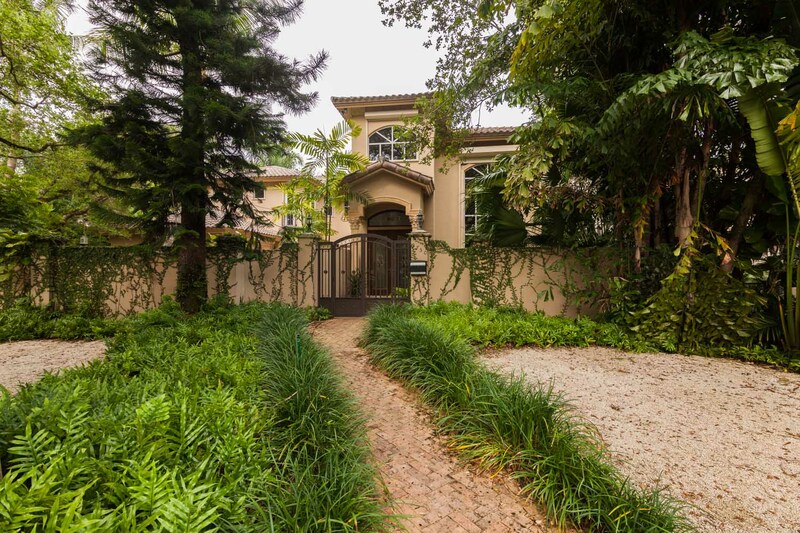 3411 Granada Boulevard in Coral Gables has a pending contract and was offered at $1,795,000. 6405 SW 104 Street in Pinecrest has a pending contract and was offered at $1,250,000. 3540 Main Highway #V-01 in Coconut Grove has a pending contract and was offered at $625,000. 1600 S. Bayshore Lane #6A in Coconut Grove sold for $450,000 on June 25. South Florida real estate is in demand and the lack of inventory and higher interest rates are a clear call to action for buyers and sellers to take advantage of this market now. If you’re interested, we want to help! Contact us today for a free, no hassle opinion of your home’s value, and to find out how the Jo-Ann Forster Team can help you get the best results possible. We have buyers that area ready, willing and able to buy. Call us.